Jeffrey Willems is a director, creator of films, voice-over and multimedia producer. In the past few years, Jeffrey has worked for multiple commercial as well as public broadcasting companies. Ever since he was 8 years old, Jeffrey has been intrigued by the medium that is called radio. Hs first encounter with so-called free radio was listening to off-shore radio stations: Laser 558, Radio Monique, Caroline and Mi Amigo, halfway through the 70's and during the 80's. When he was a young boy, he frequently asked his older brothers to turn on Mi Amigo on his little radio, after which he had to promise not to touch the tuning knob. Fascinated, Jeffrey listened to the voices of the sea: the radio friends. And he thought: this is what I want to do later. The first radio station he worked with, was Virginia, a pirate station based in Hilversum. Jeffrey was 13 at the time and started off as all-rounder: first he just picked up the telephone, later on he was allowed to make his first ever radio programme during one hour on a sunday morning. After the illegal radio station got busted, Jeffrey and his pirate colleagues moved to other stations in Hilversum. 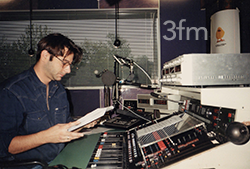 In 1985, he decided to give Virginia a second chance in Hilversum, together with some of the station's former DJ's, but they didn't attract many listeners. Jeffrey moved to Baarn with two other Virginia colleagues: Roulette 103. On the 17th of September 1989 Roulette came to an end and so did Jeffrey's illegal career. Afterwards, he has been working as a journalist for two years. In 1992 / 1993, Jeffrey ended up at Sky Radio. 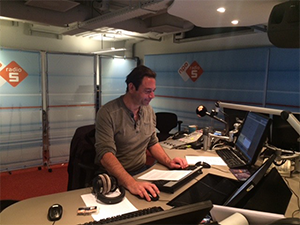 Sky Radio and Radio538 were housed in the same building and soon Jeffrey worked for Sky as well as 538, where he produced some programmes during the weekend for a year. Together with Peter Teekamp, Meta de Vries, Will Luikinga and Stan Haag, Jeffrey was also present when a new Sky Radio project came to life some years later: the Golden Oldies Station. This station was the rival of Radio 10 Gold. After a few years, this station too came to an end. 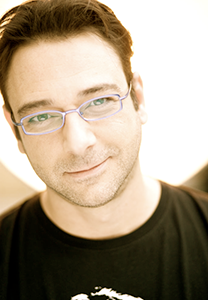 In 1996, Jeffrey deciced to leave the Sky Radio Group and start his own company as executive producer mainly for radio programmes. He thus went freelancing for the public broadcasters for a few years: at NOS, KRO (Breakfast Club, 3FM) and AVRO (Steenen Tijdperk, Radio 2). 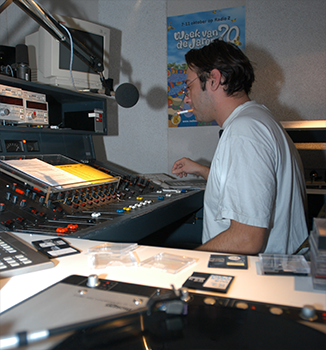 Jeffrey then moved permanently to the AVRO as continual radio host, where he made programmes as Zondagvitaminen, De Overnachting, Steenen Tijdperk, Top 2000 and the 70's / 80's week. Thanks to the De Overnachting, Old School was created during saturday night. Later it was called Back To The Old School, which was on air between April 2000 and April 2001. This soul programme made a second start on Radio 2 sunday night. You can still find Back To The Old School online as a web station. In 2010 Jeffrey extended his business from radio and voice producions to more multimedial concepts. He leaves the AVRO after 12 years in order to be able to work more innovatively and creatively. Like this, Willems develops video concepts for businesses and he experiments with documentaries for sale. Jeffrey sees his films as radio in pictures, in which emotion, feeling and authenticity play an important role. He specialises in producing e-learning videos as well. He also works as director, desginer and advisor at Omroep Max and he compiles music for several businesses and web radio stations. From now on, Jeffrey can be heard again with some of his typical classics on Mi Amigo International: 'Lost and Found' is now on air on AM Shortwave and via Internet.